Pins vs. hem/quilt clips I got at the store. These little clips are just like the ones we they sell for your hair. Seemed like a great idea for securing quilt binding. Not so for me. The pins win. 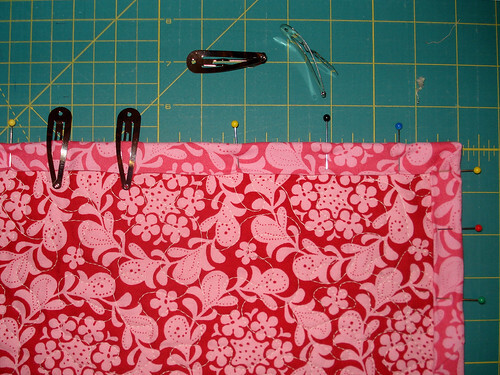 The clips just don’t keep the binding in place like pins do for the way I bind my quilts. Hooray for pins! Probably the most asked question I get is, “What kind of interfacing do you use?” This is an easy question to answer, but my responses always end up being long-winded. I think the choices in things like interfacing come from trying different kinds until you come up with one that you really like. 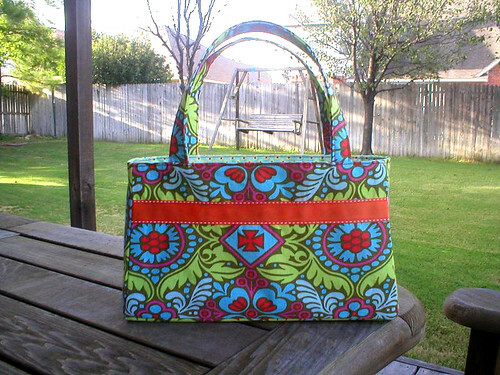 I sew mainly non-clothing items so my preference is based on the kind of sewing I do. 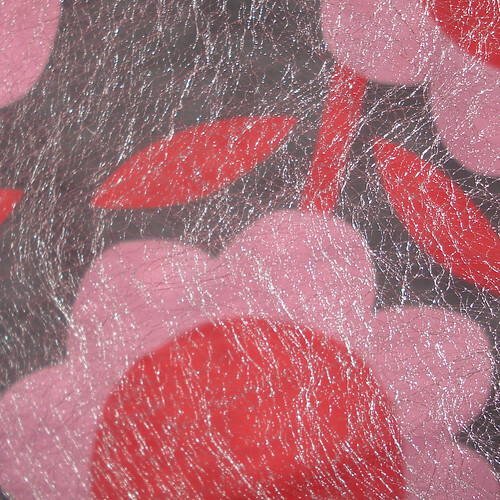 First off, I prefer fusible to sew in. 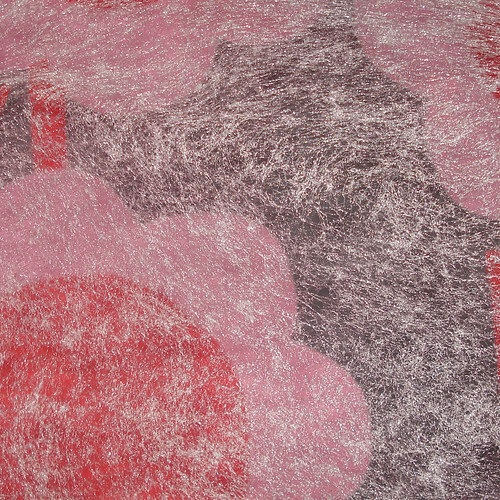 And I don’t like the glue that comes in little dots on the back of the fabric – too bumpy for me. I also prefer non-woven to woven. Again, just a preference. This bag originally posted about here. 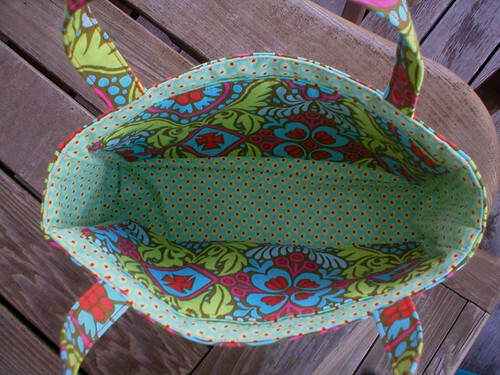 I remember back when I was making my fifth or sixth Smart Handbag from Amy Butler’s pattern, I had a small piece of interfacing that I loved but couldn’t seem to find again. I took it with me to JoAnn’s and tried to find a perfect match to no avail. Finally, long after I had given up, I found it again at WalMart. Whew! Eventually I bought a 30 yard bolt and I think I’m on my 3rd bolt right now. So what’s my favorite? Armo FusiForm Suitweight by HTCW Inc. I like how it gives purse pockets nice stability, provides stiffness for the outside of a bag while still allowing it to stay soft. I personally can’t stand a floppy bag. See how this little one stands up on it’s own? Ahhh. It’s also what I use to interface the interiors of Patchfolios and Little Artist Drawing Cases and everything else that calls for interfacing. So versatile. And definitely one of my favorite sewing things. Misty Fuse on the left , Stitch Witchery on the right. At first glance, they look quite similar, but there one important difference – Mistyfuse is thinner and feels like just-out-of-the-dryer fabric. Stitch Witchery is stiff like thin paper. Here they are close up – can you see the difference? The first pic is Mistyfuse. Have you ever wondered why it’s called webbing? It looks like a spider’s web of glue. After fusing fabric to the top of my quilt, I could quilt through both equally well, but the finished applique with the Stitch Witchery was stiffer than the Mistyfuse. 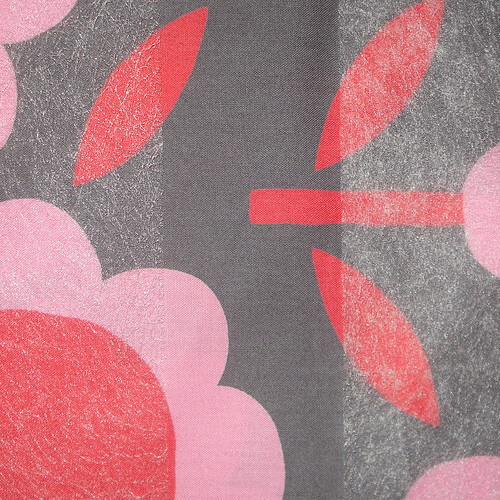 With Mistyfuse, the applique felt soft – I could barely tell it was there. I would still use Stitch Witchery where the stiffness factor won’t matter – like on the front of a Little Artist Drawing Case, but for appliqueing a quilt, Mistyfuse is one of my favorite things. I like it so much that I plan to kit it with my pattern. For now it’s in my shop here.